Healthy Diet for Acne Prone Skin. Don’t eat that — you’ll get zits! We have all heard it; from parents, friends or even the family doctor. 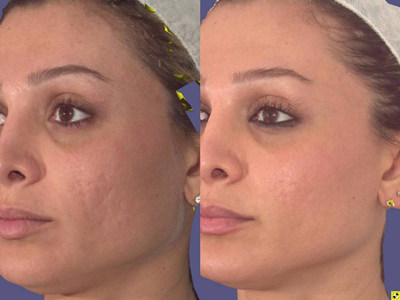 But the fact is, even after extensive study, scientists have not found a connection between diet and acne. Not chocolate. Not french fries. Not pizza. According to the American Academy of Dermatology, “A healthy diet is important to improve raw materials in healthy skin,” but they also note that greasy or sugary foods do not cause acne.1 Likewise, a study published in the Journal of the American Medical Association concurred, “Diet plays no role in acne treatment in most patients…even large amounts of certain foods have not clinically exacerbated acne.”1 Of course, that doesn’t mean you should make a habit of eating foods high in sugar or fat. The skin is the body’s largest organ, so what’s good for the rest of you will be good for your skin, too. Healthy Diet for Acne Prone Skin – Nutrients in healthy skin. There are a number of nutrients found in everyday foods that are known to promote a healthy body skin. 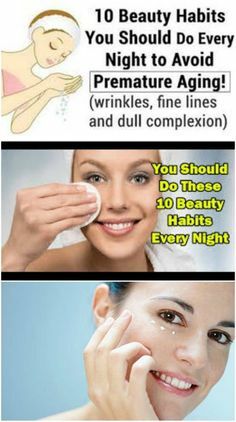 Get wise to these substances, and you’ll increase your chances of conquering your acne. 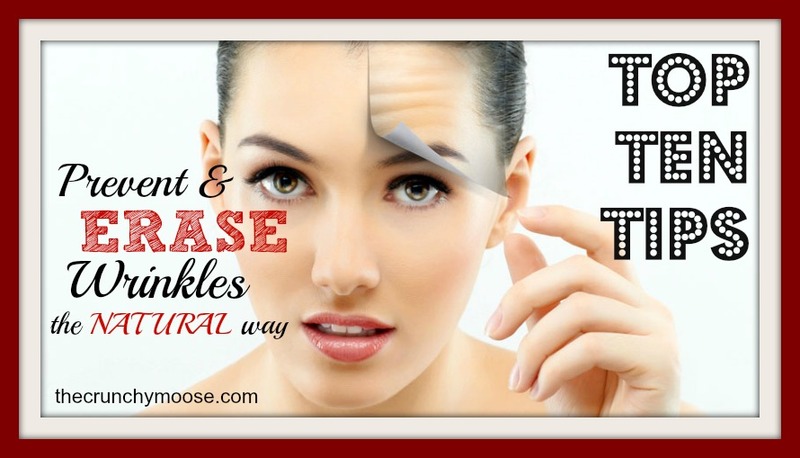 Acne Prevention & Diet – Vitamin A. Naturally occurring Vitamin A, or retinol, is found in fish oils, liver and dairy products. The Vitamin A produced by plants is known as Beta-carotene, and is found in yellow/orange fruits and vegetable such as carrots, yams, apricots and cantaloupe, as well as green vegetables like parsley, kale and spinach. Extremely high doses of Vitamin A are toxic, so don’t overdo it. Acne Prevention & Diet – Vitamin B-2. Stress has been known to aggravate existing cases of acne, and Vitamin B-2 is often helpful alleviating stress. Foods with a high concentration of B-2 include whole grains, fish, milk, eggs, meat and leafy green vegetables. Healthy Diet for Acne Prone Skin – Vitamin B-3. Found in peanuts, eggs, avocados, liver and lean meats, Vitamin B-3 improves circulation, promoting healthy skin. It also reduces the cholesterol level in the blood and helps you metabolize protein, sugar & fat — increasing your energy through proper utilization of food. Healthy Diet for Acne Prone Skin – Vitamin E. Vitamin E is found in almonds, peanuts, sunflower seeds, broccoli, wheat germ and vegetable oils. A powerful antioxidant, it protects your cells against the effects of free radicals, which are potentially damaging by-products of the body’s metabolism. Healthy Diet for Acne Prone Skin – Zinc. Even in trace amounts, the antioxidant zinc is known to boost the immune system, improving overall health — which of course is reflected in the skin. Zinc can be found in eggs, whole grains, nuts and mushrooms. 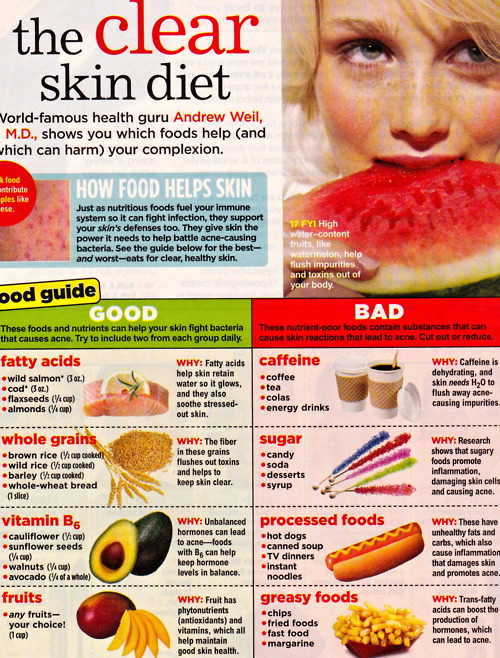 Healthy Diet for Acne Prone Skin – Know your own triggers. Since acne is different in everyone, there may be certain foods that cause flare-ups in your skin. Clearly, these foods should be avoided. You may also want to check your vitamin supplements to see their iodine content; while normal amounts of iodine have not been shown to affect skin, amounts greater than the RDA of 150 mcg may aggravate your acne. Overall, use your common sense. Drink lots of water and eat a healthy, balanced diet — but don’t be afraid to indulge your cravings every now and then.